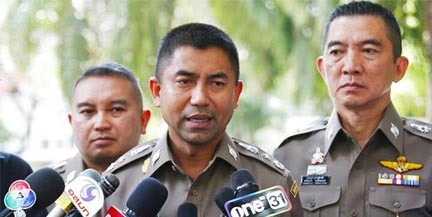 In a report by The Nation, Former Immigration Bureau Chief Pol Lt-General Surachate Hakparn otherwise known as “Big Joke” was seen reporting to work yesterday at the Royal Thai Police Headquarters. Last Friday, Royal Thai Police Chief Pol General Chakthip Chaijinda ordered Surachate’s transfer to an inactive post at the headquarters. Meanwhile, “Big Joke’s” social media accounts on Facebook and Instagram are accessible at the time of this writing. He has more than 200,000 followers.